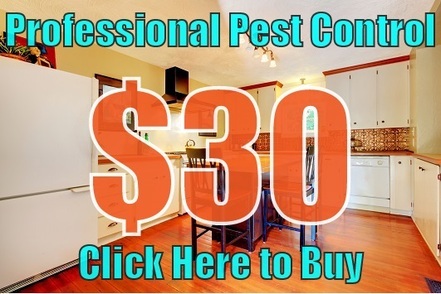 Structural Pest Control Treatment Only $30!. Interior and Exterior Structural Pest Control Treatment. A pest control company that you can trust will protect you, your family, and your home from pests at an affordable price. Ants. Roaches. Rodents. Fleas. Spiders. Pest! Not only are these pest unsightly to have in your home but also make nest in your walls, leave their droppings throughout your home and spread unhealthy bacteria. While the best precaution to take is sanitation, sometimes it just is not enough. We take care to not only treat the existing pest problem, but also work with you on ways to prevent it in the future. GreenSeasons uses only the highest quality products when treating your home. We mean to ensure pests are exterminated and your family pest free. We are always researching safe and effective products and methods for an improved experience. "We are extremely happy and satisfied with our Lawn and Pest Control service. Mike is the greatest, always smiling, friendly, but so very professional and knowledgeable." GreenSeasons is an industry-leading termite and pest control company. GreenSeasons uses the highest quality products, shows up on time, and employs licensed and trained technicians. We provide the best quality pest service for a reasonable price. Our professional service technicians are state registered and certified. They receive regular training so they are current with any new pest in the area. You family's safety is always at the forefront of our minds when using any products at your home. We back our service with one of the best guarantees in the business. If the targeted insect isn't dead, we will return and treat it free of charge.